So does it really make a difference what time of year you decide to list your house for sale? It’s very common that we hear sellers waiting until the spring or summer to list their homes in hopes to sell it quickly and for a better price. But here at BN Realty, we want to ask… why wait? It is absolutely not true that you need to list in the warm months! The “Spring Rush” is definitely something that tends to happen each year, but there are multiple reasons that selling in the fall might just be the best option for you! There tends to be less competition during the fall. It is common for buyers to have to search longer in the fall because there are few available homes. If there are less comparable homes for sale in your neighborhood, yours will garner more attention. This is especially true if your neighborhood is popular. This may also be good news for your sale price. The law of supply and demand tell us that if there are fewer of something and the same amount of buyers, prices trend upward… and we know that this is VERY important to sellers. Serious buyers are still out there looking for homes! Some may even be panicked to find a house that they didn’t find during the summer. If a buyer needs to relocate, the need typically doesn’t go away once summer ends. The window for moving before the kids get into school has passed, summer vacations have dwindled and winter is coming! And who wants to move in the dead of winter?! The buyers that are still looking are definitely hoping to still find their perfect home. Let them see why it should be yours! Mortgage rates tend to be lower. These can always fluctuate, but if a buyer needs to borrow money from a lender, they will very likely be paying close attention to these rates. When they see a good deal, they may want to move quickly to take advantage. In some transactions, you can get your home sold quicker! Generally speaking, the fewer real estate transactions being processed, the easier it is to schedule closing with all parties. This could mean that the deal will be complete much faster than it would be in the popular months. Who doesn’t want their money as fast as possible? More personal attention. Fewer homes on the market means you will probably get a bit more time and energy from your agent. Marketing is key when selling a home, and if you don’t have the benefit of working with an agent who is part of a team, you will be encouraged by having fewer sellers who will be competing for your agent’s time and attention to market their homes as well. Staging for the holiday season can attract buyers! Seasonal staging can benefit the seller by allowing each potential buyer to see themselves in the home. The beautiful fall colors on trees, fall scents and fall wreaths hanging on doors are very inviting. Trust us on this one! If we haven’t quite convinced you yet to pick up the phone and schedule a meeting with one of our listing agents, we want to share a quick fact with you! Based on data collected from a few years ago, the summer and fall seasons had the MOST SALES out of any other 6 month period throughout the year. Yes, that means that you are not out of prime time to list your home! 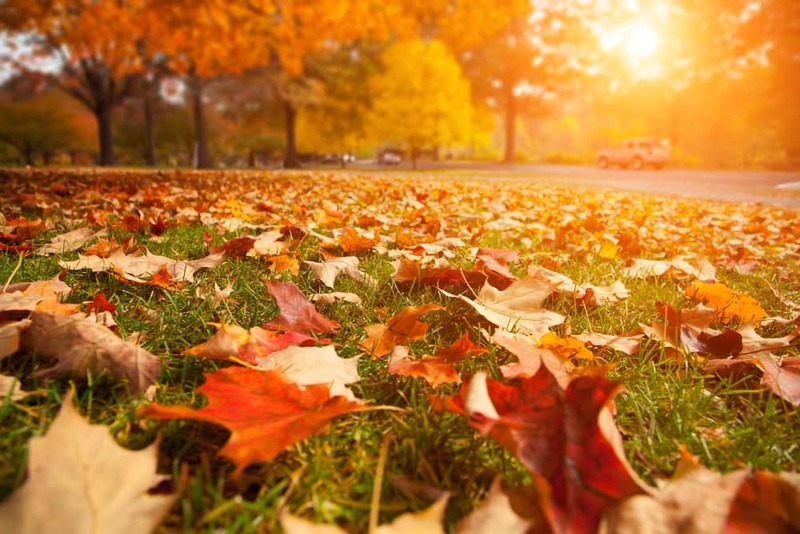 Let us show you our plan to sell your home this fall! Call us today at 309-319-6030.